Perma Grout 60 is a free flowing, non-shrink grout mix. Our Perma Grout 60 is known for its high strength. 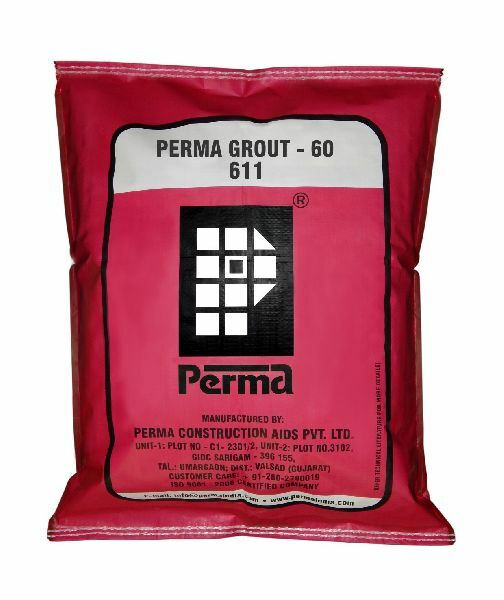 Perma Grout 60 is supplied in a grey powder form, which needs only onsite addition of water to form a ready to use grout slurry. Thus, we are a famous Manufacturer, Supplier and Exporter of Perma Grout 60 in India. Grouting heavy machine foundations, which are subjected to huge dynamic loads. Grouting underneath base plates of machines. Grouting of crane rails anchor bolts dowel bars etc.